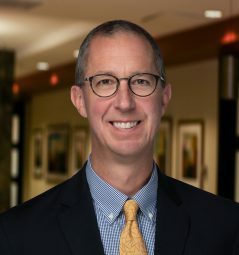 Joseph L. Kroart III joined Adelberg, Rudow in 2018 as an associate in the Business and Corporate Practice. Prior to practicing law, Mr. Kroart spent several years running his family’s multi-store retail operation in Ocean City, Maryland and southern Delaware. As a result, he possesses a rare combination of practical business experience along with formalized legal and business training. Mr. Kroart graduated in 2014 with a joint J.D./M.B.A. degree from the University of Maryland Carey School of Law and the Johns Hopkins University Carey Business School. He also holds a M.A. in organizational sociology from the University of Maryland College Park. Mr. Kroart completed his undergraduate work at Villanova University with a double major in history and sociology. And yes, he enjoys rooting for his alma mater’s basketball team. A lifelong Marylander, Mr. Kroart lives in northern Baltimore County with his wife and two daughters. He enjoys spending free time with his family in Ocean City and on Assateague Island.